We are offering our client an excellent quality range of Bamboo Seasoning Plant. It is good material and mostly widely used in block plants. Wood seasoning plant We are excited to announce that we have started wood seasoning plant in our factory for seasoning of all types of wood. A large quantity of timber used in India is not properly dried or seasoned & treated resulting into development of defects like cracking, splitting and insect attack in the products. Our organization has successfully expanded its business in market owing to the offered elevated quality range of Wood Seasoning Chamber. 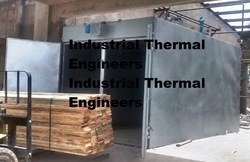 - Used for drying and seasoning of wood that prevents from defects like warping, cracking, splitting etc. This system is specially designed for ISPM 15 certification procedure. It takes care of all points needed for procedures. 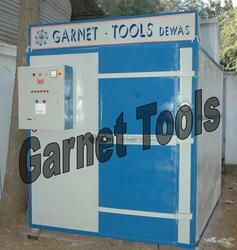 We have garnered repute as Wood Seasoning Chamber Manufacturer, Exporter and Supplier in Haryana, India. The B.H.I. Heavy Duty Wood Seasoning Chamber 750 Cft comes with Heavy-Duty Aluminum Fans etc.